Timeless appeal in Weston's Highland Meadows, a premier 55 + community. Graceful foyer with rich hardwood floors leads to an open living and dining area. First floor master bedroom suite with walk in closet, marble bath and private deck providing tranquil views. Kitchen appointed with luxury appliances and a second outdoor deck. A light filled office and second full bath complete the first floor. Finished lower level, with patio, adds three rooms and provides abundant, flexible space to suit your needs. Superbly crafted with fine details including beautiful moldings, marble surround gas fireplace, elegant panel of prominently featured windows and high ceilings. 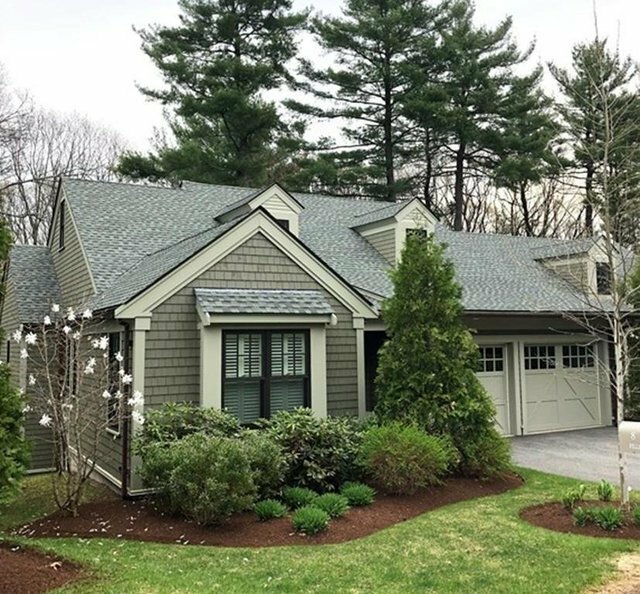 In addition to a low maintenance lifestyle, the association amenities and features include the Meetinghouse for fitness & entertaining, formal parlor, billiard & card room, terraced patio with fireplace, tennis court and walking trails.